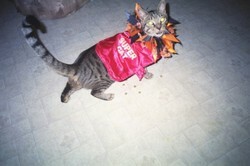 REDNERS Save-A-Tape Receipts Help CatS! Present your Redner's Rewards Card to the cashier at checkout. The cashier will scan your card, which will enable your register receipt to be counted toward the Save-A-Tape program. Redner’s will donate 1% of the earned Save-A-Tape $ dollars to Fairchild!! WE NEED THE WHOLE RECEIPT and no receipts older than 3 years will be accepted. SHOP @BOYERS? Stop by to get a Key Card and 1% of your shopping goes to Fairchild just by swiping your card! **ADMIT: Arrive between 9-11 am by Appointment. 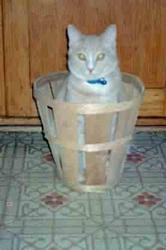 All cats MUST be admitted in a Humane Box Trap or Transfer Cage for safety purposes. You must also bring a hard plastic pet CARRIER with TWO TOWELS for recovery & discharge for EACH cat. on masking/duct tape and affix it to the carrier, towels trap, and trap cover. 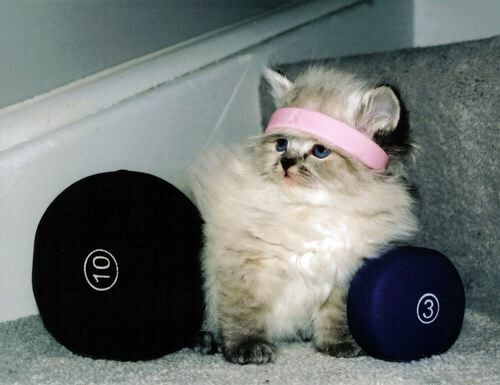 Hill's & Banfield have teamed up together to help your Pet be THE BIGGEST LOSER. Stop by for your FREE Measuring Cups while supplies last. Just remember the portions on the bag are MORE than your Pet really needs to eat. Weight Loss Trick: Get your pet to eat SLOWER...for cats and small dogs use a 20-ounce empty plastic soda/bottle and for medium and large dogs use a 2-Liter bottle. Simply DRILL holes in the empty (clean and dry) bottle that are slightly bigger than the kibble. Put your pet's ration in the bottle and close the lid. 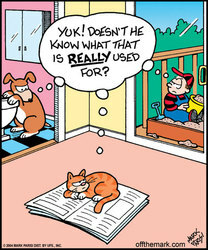 Now your pet has to ROLL the bottle around to get the kibble to come out of the holes...it's fun and rewarding! Take a walk with your pooch--both of you will benefit from the exercise. Substitute VEGGIES & Fruits for fatty treats...Carrots, green beans, broccoli, canned pumpkin, sweet potatoes, apples (no seeds), cranberries, blueberries, watermelon and canteloupe all make great treats!! REVOLUTION now available for Cats...topical heartworm prevention, flea control, deworming and ear mite medication in ONE easy TOPICAL application! Screen your Dog for Heartworm, Lyme and Ehrlichia Diseases Today for only $42! Results in 10 minutes while you wait! Both Heartworm Lyme Disease arevery common and can be crippling to your pet as well as life-threatening if left untreated. Yearly testing is recommended. Heartworm testing also available for cats!! When your pet was born, he received protection from many diseases from antibodies passed in his mother’s milk. These antibodies dissipated by the time he was about three months old, leaving his immune system vulnerable. That’s where you come in. The ASPCA recommends that cats receive a three-in-one vaccine that protects against feline calicivirus, rhinotracheitis and panleukopenia, as well as a rabies vaccination. Ask your vet if vaccinations for feline leukemia, chlamydia, feline infectious peritonitis and giardia are recommended for your kitty. Dogs should receive a five-in-one vaccine against several infectious diseases, including distemper, leptospirosis and parvovirus, as well as a rabies vaccination. Ask the vet about vaccinations for kennel cough, Lyme disease and giardia too. But do it safely, please! These little pests can cause big problems for your pets, including skin disease, anemia, scratching, allergies and tapeworms. There are many products available to help you control the fleas on your pet and in your home, but it’s of utmost importance that whatever you use is approved for use on your pet’s species. 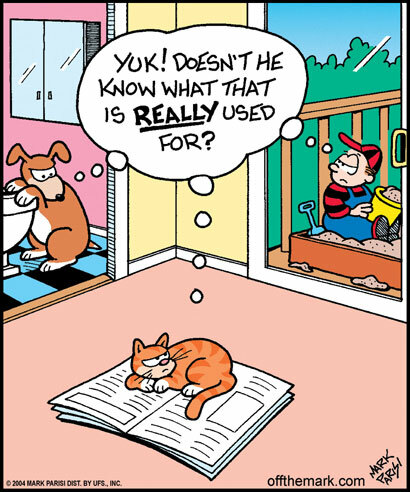 In other words, don’t use products for dogs on your cat, and vice versa. Cats especially are extremely sensitive to insecticides, and many pets die annually from improper use of flea control products. Ask your vet for a recommendation, and don’t forget—when fighting fleas, you’ll need to treat ALL the pets (rabbits, ferrets, rats, mice, hamsters, guinea pigs too!) in the household, not just those who are obviously infested. It’s difficult to treat and sometimes fatal, but heartworm infection is easily prevented. Your dog should be given a blood test for heartworm every year in the early spring, and your veterinarian will prescribe a preventive tablet to be given once a month year-round. Although dogs are natural hosts for heartworm, cats can also contract this disease, transmitted through the bite of an infected mosquito. Regular home checkups are a great way to nip potential health problems in the bud. Plus, they’re as easy as one, two, three: 1.) Check under your pet’s fur for lumps, bumps, flakes or scabs. 2.) Check your pet’s ears and eyes for any signs of redness or discharge. 3.) Check the gums to make sure they are PINK 4.) Make note of any changes in her eating or drinking habits. If something seems off, call the vet. Our experts at the ASPCA Animal Poison Control Center urge you to avoid feeding the following foods to your pet: Alcoholic beverages, avocado, chocolate, coffee, fatty foods, macadamia nuts, moldy or spoiled foods, onions and onion powder, raisins and grapes, salt, yeast dough, garlic, and products sweetened with xylitol. Does your pet have morning breath—all day long? 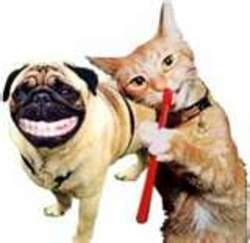 This is a major indicator that your pet is in need of dental care. Particles of food, saliva and bacteria—what’s commonly called “plaque”—can build up on the teeth and gums and cause infection. If left untreated, infection can result in tooth decay—and even move into the bloodstream and affect your pet’s heart, lungs, liver, kidneys, bones and joints! Check your animal companion’s teeth and gums at least once a week, and ask your vet how you can further prevent gum disease by regular brushing with a toothpaste formulated especially for your pet’s species. Universal MICROCHIP 134 kHz Only $35 with free Registration !! Don't Let Your Pet go Unidentified! Collars & Tags can be removed but microchipping is permanent!! 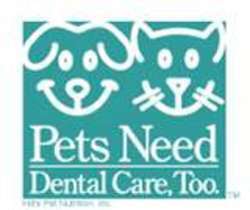 Celebrate Pet Dental Care ALL YEAR LONG! Pets Have Teeth TOO!! Dr. Fry's Chew Club: Buy 12 Dental Products and Get 1 Free..
Stop by and Pick Up your Chew Club Card Today!! Symptoms of gum disease in dogs include yellow and brown build-up of tartar along the gum line, inflamed gums and persistent bad breath. Broken teeth are a common problem, especially among outdoor dogs. According to veterinary dental experts, aggressive chewing on hard objects, such as commercially available cow hooves, is a primary cause of broken teeth in dogs. Kittens have 26 temporary teeth that begin to erupt at about two to three weeks of age. They have 30 permanent teeth that start to erupt at about three to four months. Symptoms of periodontal disease in cats include yellow and brown tartar buildup along the gum line, red inflamed gums, and persistent bad breath. Cervical line lesions are the most common tooth disease in domestic cats. Studies show that about 28 percent of domestic cats develop at least one of these painful lesions during their lifetime. Is Your Pet Upset During Thunderstorms and Fireworks? Does Your Pet Suffer from Stress or Anxiety? TRY RESCUE REMEDY...the all-natural way to reduce stress and anxiety. Available from Dr. Fry in small and large bottles as well as a spray.